Judging by the consensus opinion of this recycled action/revenge picture, people apparently were delighted that someone decided to combine the filmmaking styles of Rob Zombie and Quentin Tarantino, and to augment that daring celluloid fusion with Nicolas Cage in full-on latter-day Bill Murray mode, mainly staring blankly into the camera and conserving his energy as much as possible. Hmm, that sounds really negative … Sorry, I don’t mean to diminish completely the achievements of this occasionally entertaining waste of your precious dwindling time on this dying planet. It’s just that I didn’t think anything about this flick was especially original, or even terribly interesting. 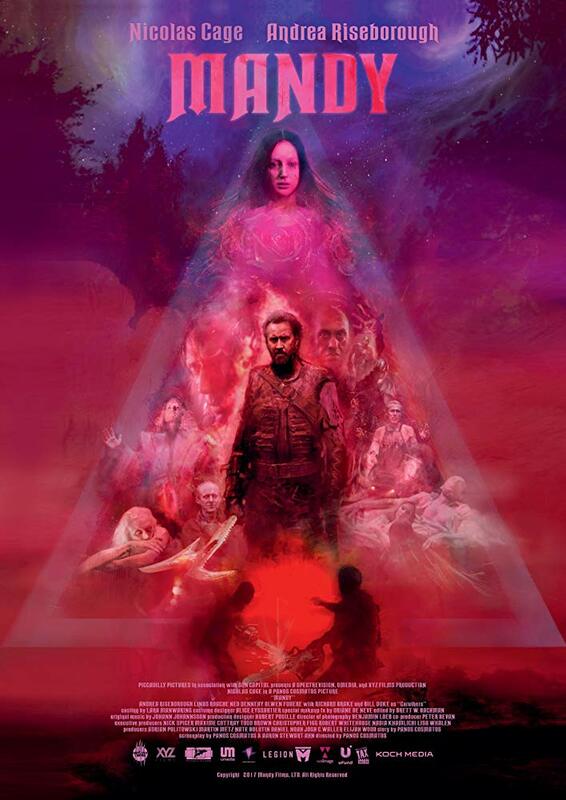 The religious cult cliché is uninspired enough, but once the focus shifts to Cage’s pursuit of his quarry, it literally is nothing you haven’t seen many times before. Overblown, overcooked, overhyped, and underwhelming. Boy howdy, it sure got some good ink, didn’t it. It’s fun to look at, I guess, what with the liberal use of p*S*y*C*h*E*d*∃*l*Ι*c visual FX and intervals of animation and hallucinatory FREAKOUTS and so forth. I mean, like, whoo, trippy, man. Oh, and Cage does have one mostly laudable scene. Seriously, though, it’s just too imitative to appreciate and doesn’t have much of a tale to tell. I would’ve thought more people might’ve noticed, but that’s my problem, I suppose.